Machines have always made life easier for man. However, with every step towards the progress and development in the industrial field, the requirement of precise and accurate measurements in various scopes such as load weighing has increased significantly. SenLogic has created a name for itself with the best weighing and loader systems, Chennai. It is a leading manufacturer, supplier, and promoter of loader weighing system in close collaboration with the VEI group. 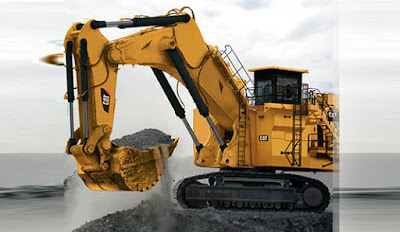 The loader weighing systems from SenLogic can be connected to a wide range of products and machines such as backhoe loader, compact wheel loader, wheel loader, ADT (Articulated Dump Truck), LHD (Load Haul Dump) and so on. The role of accuracy in weighing and monitoring of various industries is very important to ensure its efficiency and maximum output. SenLogic has a vast experience with the creation of some of the best weighing systems and loader weighbridges in India. They provide technical systems custom made to suit the requirement of various industries. SenLogic also offers the opportunity to manufacture systems based on the special specification to suit client requirements. The fact that these are available at cost effective rates makes SenLogic one of the most favored names in the automation industry. The loader weighing systems from SenLogic are armed with features such as the following. The systems are equipped with communication and data protocols in line with the industry standards and are also high on monitoring and quality control. The products are made to survive in tough conditions and environment and are well acknowledged for their longevity.